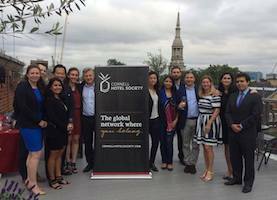 Please send your contact details to London@cornellhotelsociety.com to receive details on future events. 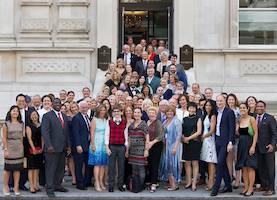 On Tuesday, January 8, 2019, the London Chapter hosted a reception at the Dorchester Hotel for 27 Hotel School faculty. 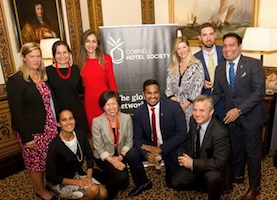 On May 10 CHS London celebrated the 90th anniversary of the Cornell Hotel Society by hosting a reception in the Pinafore Room at The Savoy Strand.